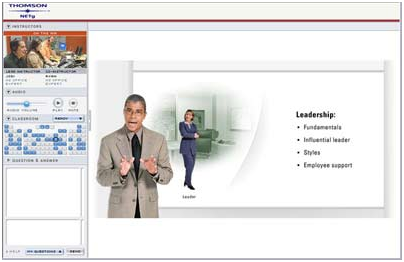 Netwind Learning Center's unique virtual online virtual classes combines the full benefits of instructor-led Cisco training with the advantages of highly convenient and multimedia-rich delivery. Our live, online classes bring world-class expert instructors to your desktop or laptop where they collaborate with and coach you, and deliver an unparalleled overall learning experience. Netwind's Cisco Live Learning online classes deliver better retention, reduced time in training, flexible scheduling and decreased training costs. You will also have 24 x 7 access to the recorded class for previewing or post reviewing your class. You will also get access to the Cisco Authorized Course Books, virtual labs and test preps giving you the full class experience at your computer. Our instructors typically are CCIE certified with many years of experience in the field. You can also redeem your Cisco Learning Credits to pay for the class. If your CLC credits did expire already, call us and we can see if we can get your an extension on the expiration date. Unlimited access to all Cisco Online Live Classes as scheduled, and their recorded Encore versions which are available 24 x 7 during your one year enrollment. Cisco All Access is a comprehensive learning solution that provides students access to the live and on-demand recorded classes in a 12 month subscription model. During this time, students have access to as many as 36 Cisco classes. All Access solutions are geared toward individuals or entire departments that need a broad range of learning options that are accessible any time from any place with an internet connection.